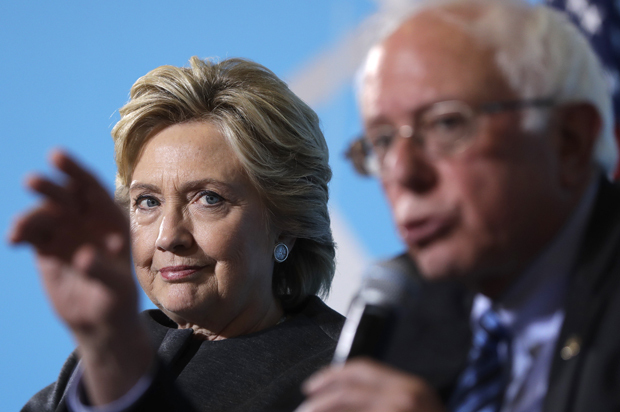 Technocratic for the people: What Hillary Clinton gets wrong about Bernie Sanders’ political revolution | "Global Possibilities"
Of course, while Sanders had a historic run, he didn’t win the nomination — and many of his younger supporters remain bitter about this fact (especially after it was revealed that the DNC has been pulling for Clinton behind the scenes). Recent polling shows that Clinton continues to be very unpopular with millennials, albeit not quite as unpopular as the Donald, whose blatant xenophobia and sexism are repellent to most people under 30. Millennial voters (18-29) dislike both Clinton and Trump so much that only 41 percent of them say that they are certain to vote in November, according to an ABC/Washington Post poll from last week. The survey also found that under-30 voters prefer Clinton over Trump by only 2 points, compared to a 30-point preference for President Obama over Mitt Romney in 2012. But what exactly has modern technocratic liberalism achieved? Some of the Democratic Party’s most important achievements — most notably the Affordable Care Act — are also some of the most jumbled, bureaucratic and corporate-friendly pieces of legislation in modern history (Bill Clinton slipped up a few days ago when he called Obamacare the “craziest thing in the world,” which he has since walked back). A fine example of the technocratic liberal is MIT professor and Obamacare architect Jonathan Gruber, who said in 2014 that “Lack of transparency is a huge political advantage,” and that “the stupidity of the American voter” was critical for ACA to pass.